2-1/2 in. 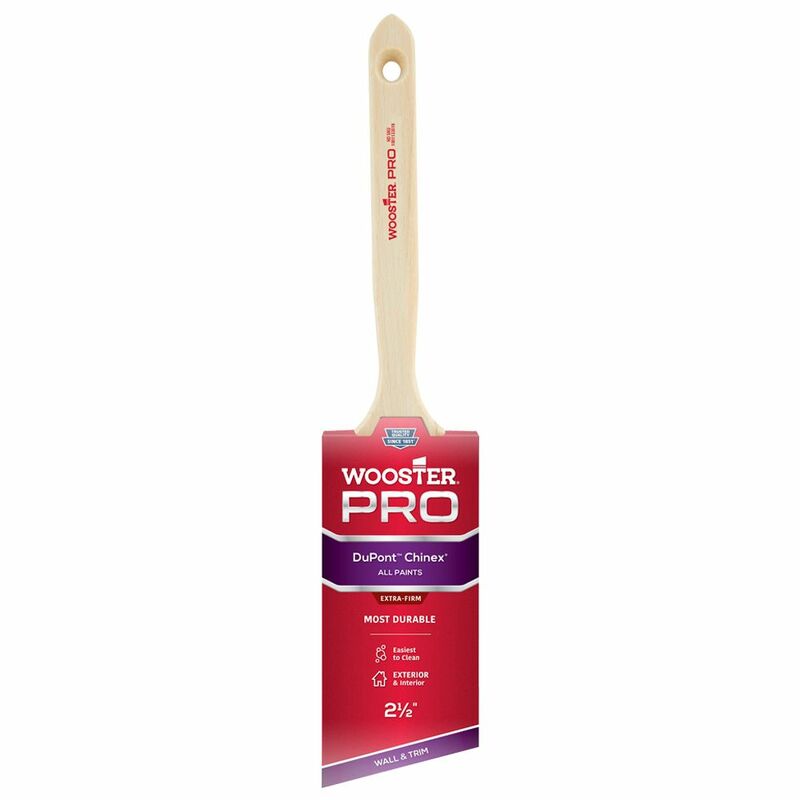 (65mm) Wooster Pro Chinex Angle Sash Brush Wooster Pro Chinex paintbrushes are made with the famous DuPont filament, but stand out among other Chinex brushes. A special tipping process allows these brushes to create a clean, precise paint stripe. These brushes are perfect for today's low VOCs and fast-drying paints and stains.